A Child of Books is one of those wonderful books that comes along every now and again and isn’t about anything other than the power of imagination and the power of books. Throughout the story you see the girl and her friend invent and create a world based on their imagination. In a time where children’s imaginations are not the focus of their writing, this book is an incredible look at what writing should be about – how using your imagination can inspire a story, generation and the world. The stark comparison of this picture compared to all of the others gave me great joy. It sends a brilliant message about building your world around stories and how anyone can build worlds, using stories. The end papers are gorgeous. They’re titles of famous children’s books. I would love to sit and go through them and try to figure out which ones I’ve read and which I haven’t. All of the books seem to be ones which inspire and have created their own world. Books written by authors who have used their imagination to create a new land, a new world – somewhere new for the readers to explore. I have a massive place in my life for Oliver Jeffers; I think his work is outstanding. All of his other books are absolutely wonderful and all have a place in my life as a teacher and a reader. When I heard of this book, I knew it was one I had to own. Again you have a complete hit from Jeffers – the man who writes hit after hit. 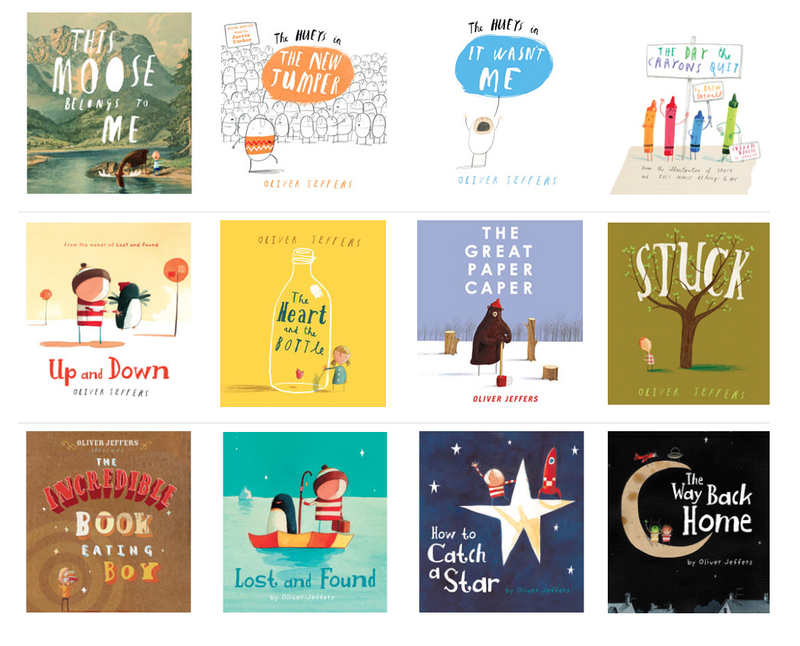 All classrooms and homes should have place for Oliver Jeffers books. From books for tiny little people to books for children a little older, they’re all wonderful. Have you read A Child of Books? What do you make of Oliver Jeffers? Are there any other picture books like this you’d recommend? I’d love to know what you think! Let me know in the comments, or on twitter – (@eenalol). What age would you say it’s for? I keep looking at it for a friend’s daughter but she’s only 2.5 years old and I don’t know if it’s suitable for, say, bedtime stories. I really wish they’d put ages on books for small children!